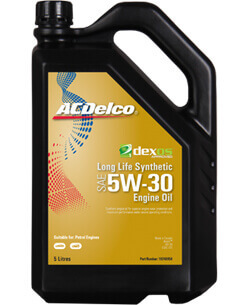 Premium Euro Long Life Synthetic 5W-30 is a Premium engine oil for use in passenger cars and vans over the full temperature range from very low up to very high temperatures. It fulfils all requirements of engine oils for vehicles fitted with exhaust gas after treatment devices. It is suitable for use in vehicles where the VW 504.00/507.00 is called for. Also the product can be applied in many vehicles of European or Asian manufacturers if the use of a C3 engine oil is specified. A premium engine oil for passenger cars, SUV’s and Light Commercial vehicles. Latest technology allows for maximum performance from very low to very high temperatures. This product is also formulated to be used in vehicles with exhaust gas after treatment systems such as catalysts or particulate filters. Designed to fulfil the viscosity requirements of Series 1 Holden Captiva, Epica or Cruze Diesel.